Cook the potatoes in salted boiling water for about 10 minutes or until tender, drain and when cool enough to handle, thinly slice. In a frying pan add the butter and olive oil and cook the spring onions and asparagus over a low heat for 3-4 minutes. Add the potatoes and continue cooking for a few more minutes whilst you beat the eggs in a bowl with the crumbled feta cheese. Pour this over the potatoes and cook very gently without stirring. When the base has started to set, pop the frittata under the grill until set. 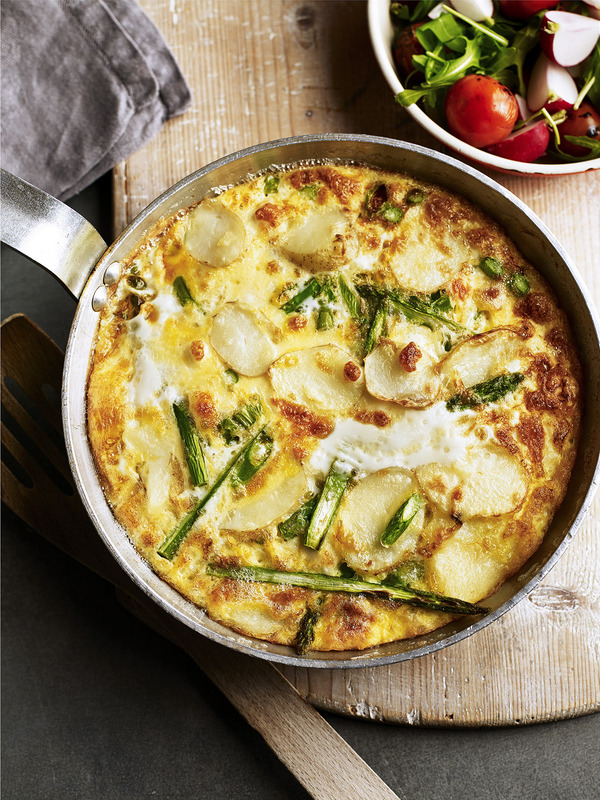 Serve the frittata with fresh rocket, tomato and radish. See this recipe in action in the accompanying video below. Discover wider potato recipe videos on our video hub.